Investing in property is much more than just buy-to-let. Commercial property makes up a big part of the property sector. It’s broadly divided into three areas: retail, industrial and office. Most investors access this part of the market by investing in property funds or REITs (Real Estate Investment Trusts). There aren’t many funds that invest in residential property. People who invest in this area normally do it through their home, a buy-to-let investment; or individual property shares. There are two IA (Investment Association) sectors devoted to property. The IA UK Direct Property sector contains funds that invest in bricks & mortar. The IA Property Other sector includes funds that invest elsewhere, such as overseas or in property company shares. The performance of property funds usually depends on how the economy’s doing. In good times demand for property increases. This pushes up rents and property prices and encourages more construction. During slowdowns or recessions the opposite happens. Commercial property is normally preferred by investors in need of an income. That’s because most of the returns come from rental income. As with any investment the value of property investments and the income from them can fall as well as rise. Property funds that invest directly in bricks and mortar are popular with investors, but we don't think they're the best way to invest. This is because commercial property is not easily bought and sold. It’s time-consuming, labour-intensive, and expensive. This creates problems for fund managers. Investors usually want to put a lot of money into their funds when performance is good and the outlook is rosy. But because it can take months to find and buy suitable properties, the manager often ends up holding a lot of cash and missing out on rising property prices. Similarly, when the outlook isn’t so good, or when performance has been poor, investors tend to sell property funds. This often forces the manager to sell properties in order to give investors their money back. The best properties are often quickest and easiest to sell, so remaining investors can be left with less attractive investments. To help with this issue fund managers adjust the pricing of their funds and/or stop investors selling them. These decisions are not taken lightly and only in extreme circumstances. It does mean you could receive less than you expect when selling a property fund, or not be able to sell at all for a period of time. This can hurt the fund’s performance and means returns aren't solely down to the skill of the fund manager. The high costs associated with buying and selling property also eat into the income received by investors, more so than when buying and selling shares. These funds work in a similar way to funds that invest in company shares. The value of the fund is directly linked to the value of the shares the manager invests in. They mostly invest in Real Estate Investment Trusts (REITs). 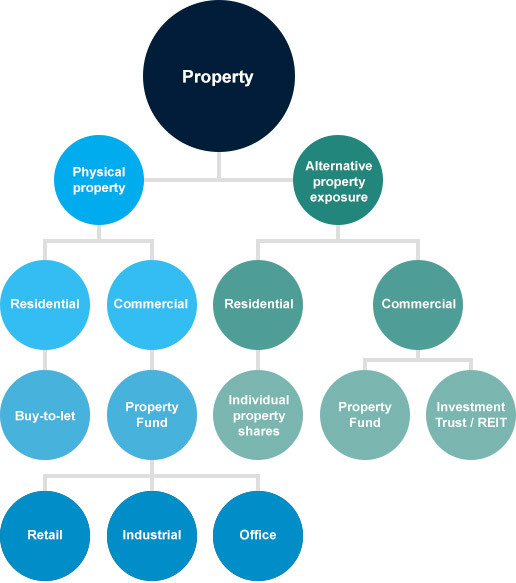 REITs own and operate a variety of properties and are looked after by an expert management team. This helps to spread risk and means they don't rely on a small number of properties. You can also invest in REITs, and other property-related investment trusts, directly. These don’t have the same problems as unit trusts when large investors try to buy and sell at the same time. But it's possible for the shares in the REIT or investment trust to trade below (or above) the value of the properties they invest in. This is known as trading at a discount (or premium). Investment trusts can also borrow money to invest. This can improve returns when markets are rising, but increases losses in falling markets, so it’s higher risk. UK commercial property performed relatively well recently. In the 12 months to 31 January the IA UK Direct Property sector achieved a 6% return, with income reinvested. The IA Property Other sector rose 2.8%. This was better than the broader UK stock market, which fell 3.8%. Past performance isn’t a guide to future returns. There were big differences between different areas of the property market though. Industrial property continued to be the strongest performer. In 2018 average rents increased 4-5% and demand rose 20-30%. A lot of this has been driven by the rise of e-commerce companies, which need logistic and distribution centres. Demand for offices also held up well, both in and outside London. There’s been a lot of high-profile lettings among technology and media firms. Tenants are placing increasing importance on the quality of their office space to attract and retain staff. At the other end of the performance spectrum were retail properties, including shopping centres and out-of-town parks. They’re under pressure as their tenants face increasing competition from online retailers. Some properties reduced their rents by 25% or more rather than risk their tenants going bust. On a positive note, 85% of shopping in the UK still happens in a physical store so retail remains an important part of the property sector. The phrase ‘location, location, location’ still rings true though. Poorly positioned units have suffered the worst while retail properties in prime locations have been more resilient. Within the ‘alternative’ areas of property, tenant demand increased for student accommodation and self-storage units. The performance of healthcare properties, which includes independent hospitals, care homes and retirement villages, also remained robust. We regularly review the major investment sectors. Here we provide comments on a selection of funds in the Property sector. They're provided for your interest but not a guide to how you should invest. If you're unsure if an investment is right for your circumstances please seek personal advice. Comments are correct as at end of January2019. Remember all investments can fall as well as rise in value so you could get back less than you invest. Past performance is not a guide to the future. There is a tiered charge to hold funds with HL. It is a maximum of 0.45% p.a. - view our charges. 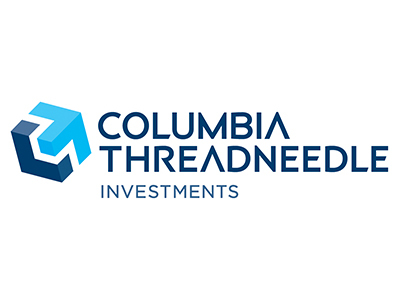 This fund invests mainly in Real Estate Investment Trusts. It also invests in companies that don’t invest in property but make most of their money from the property industry. The majority of the fund is invested in UK property companies. Many of these specialise in a niche area such as student accommodation or healthcare buildings. The portfolio also includes companies that don’t invest in property directly but that have a big link to the sector. Examples include property search website Rightmove and storage company Big Yellow Group. There are some investments in other countries including Germany, Ireland and Sweden. This gives the fund some international diversification. The managers don’t invest in many companies. That means each one can make a big difference to how the fund performs, but it adds risk. This fund aims to track the performance of the FTSE EPRA / NAREIT Developed Index as closely as possible. It invests in a high number of property companies worldwide. More than half the fund is invested in the US, with the rest spread out over Europe and developed Asia Pacific countries. Just 5% is invested in UK property companies. This could make it a good option if you already have a big part of your property investments in the UK or you’re worried about the prospects for the UK property market. The fund invests in some smaller companies. These could offer higher growth potential but they’re riskier than larger companies. iShares is one of the largest providers of tracker funds on the market. They use their size and expertise to keep costs low and try to mirror the index closely. So far they’ve done a good job. The fund did much better than both the IA Property Other and IA UK Direct Property sectors in the 12 months to 31 January, growing 13.7%. That’s not an indication of how the fund will perform in the future. This fund buys commercial properties up and down the UK. Investments are well-spread between retail, office and industrial properties. The managers buy a mix of properties around the country, but invest more in London and the South East than other areas. When they buy a new property they often refurbish or modernise it. They hope this makes it more desirable to potential tenants, and more likely they’ll sign longer leases. If this happens the value of the property could increase. The managers are wary of the possible impact of Brexit, especially a hard Brexit. They’ve made changes to parts of the portfolio where they think there’s uncertainty, such as in London and where there are financial tenants. The managers can use derivatives to try to improve returns, but the use of derivatives adds risk. The manager invests directly in properties all around the UK. It isn’t focused on the South East of England as much as other funds. The fund invests mainly in bricks and mortar rather than other property companies. Roughly a third is invested in both industrial and office properties. While out of town retail makes up the next biggest part of the portfolio, the managers have invested little in high street retail. High quality properties are preferred and the managers aim to improve their value by working closely with their tenants and building managers. They think this helps keep buildings fully occupied and improves long-term performance. The fund’s recent performance has been good, achieving a higher return than the IA UK Direct Property sector in the 12 months to 31 January. There’s no guarantee the fund will keep performing like this in the future. The manager can use derivatives to invest, which adds risk. The manager invests in physical properties, with a bias to the South East region and the retail area of commercial property. Retail is the largest of the ‘big 3’ commercial property sectors in this fund. But it’s as much retail warehouses as shops that contribute to this. That’s because the growth of e-commerce has increased demand for warehouses. Offices and industrial properties still make up a large portion of the fund as well. The managers prefer properties in the South East of England including London, which is where around half of the fund's invested. The fund performed well during the 12 months to 31 January, beating the return of the IA UK Direct Property sector. That’s not an indication of how it’ll do in the future though. Nearly two-thirds of the fund’s invested in the south of England, but unlike many other funds there are virtually no properties in London. The rest invests in the Midlands and the North. The managers invest just under a third each in industrial and office properties. Around 40% is currently invested in retail properties, with a fairly even split between retail warehouses and shops. The fund’s top tenants, ranked by the rent they pay, includes lots of well-known high-street names. The fund’s recent performance has been disappointing. It made a loss of 2.7% in the 12 months to 31 January, whereas the IA UK Direct Property sector made a 2.8% gain. That’s not an indication of how the fund will do in the future. Don Jordison will step down as co-manager of the Threadneedle UK Property Trust on 1 May 2018. Find out more about this change in our latest update.